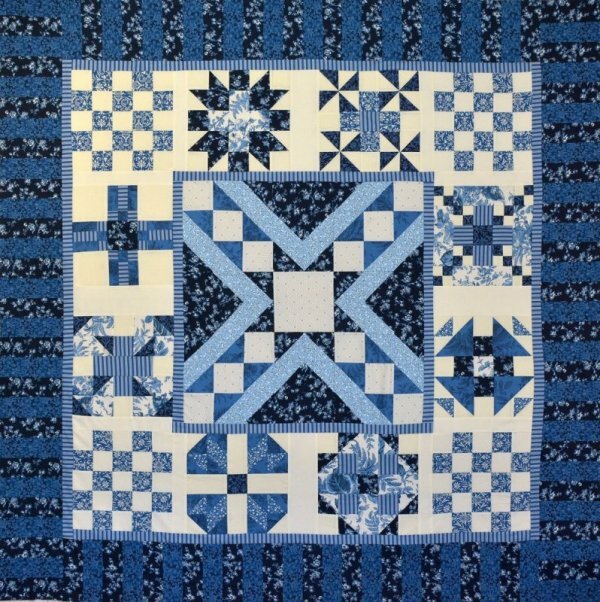 Here is Pat's Settings Pattern for the Globetrotting quilt! 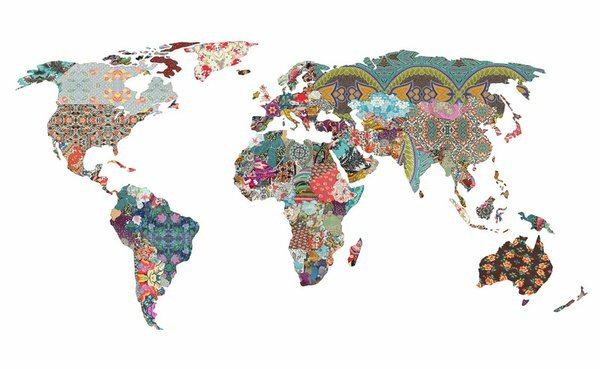 Click Here to download the PDF of the final Settings Pattern for the Globetrotting quilt. We have spent the last nine months traveling the world with Pat Sloan for her amazing Globetrotting Mystery BOM, and it has been a beautiful journey! Just one more stop on this trip: it's time to tie it all together into a gorgeous quilt top, and Pat has truly outdone herself with the two different colorways! We hope you've enjoyed your journey with us, and we also hope you'll share your quilt tops in the Flickr group! Pat has a special giveaway for you if you'll just get your quilt finished up and submit your pics. More info below! I floated all the blocks with the background color. The corners are checkerboards balanced with more light than dark blocks in the blue/cream version. In the red/grey I made them scrappy. The checkerboards remind me of all the city centers I've visited. Plus I added a bit of appliqué to my Washington DC block.. you might want to do the same! 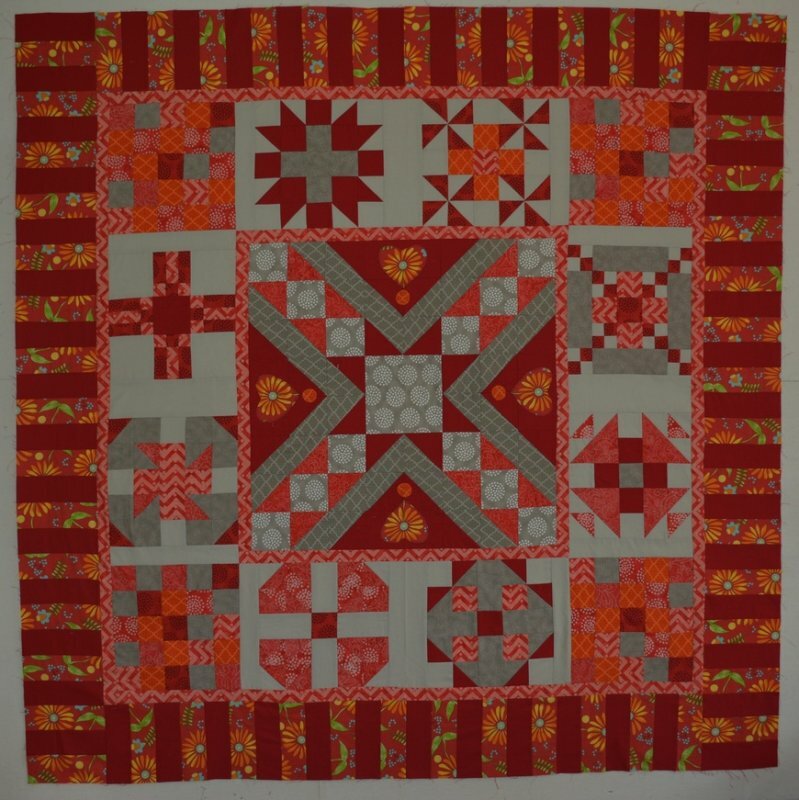 Can't Wait to See Your Quilts! Thank you for coming on this very fun year long Globetrotting journey! Now I have a challenge for you. Make your TOP by the end of November and share it in our Flickr group. I am going to be giving away a nice bundle of my Moda “One for you, One for me” fabric & Aurifil thread to someone that finishes their top by Nov 30, it might be you! 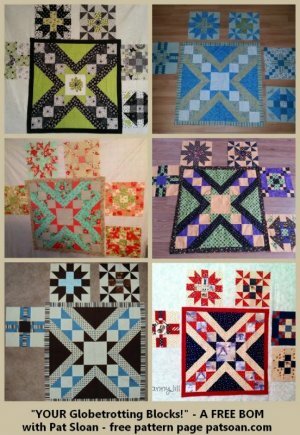 Once your Globetrotting is done, THEN you will be ready to join me in 2015 for my next Free Mystery BOM from Free Quilt Patterns.Info! The supply list for 2015 will be shared in December, so be sure you have Globetrotting done. 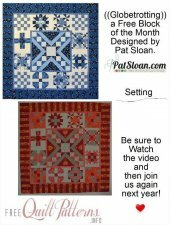 Please take a look at my video below and explore these two quilt tops with me!